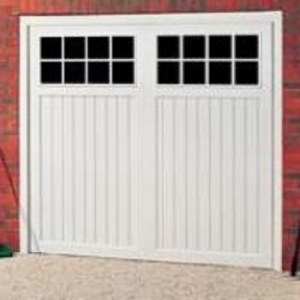 ABS garage doors are popular low-gloss satin white garage doors. Anti-fade, they will not go yellow due to prolonged sunlight exposure. 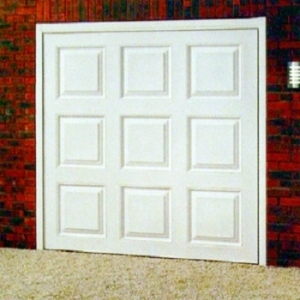 ABS up & over doors are naturally resistant to knocks and bangs. 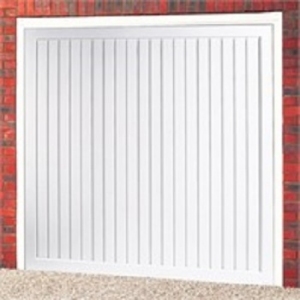 A popular product with upvc window trade customers. Comes with Cardale's safe and reliable canopy or retractable lifting gear and multi-point locking. The door panel chassis is constructed from neat, pop-rivited bracings only visible from the rear, with the panel invisibly bonded to it. 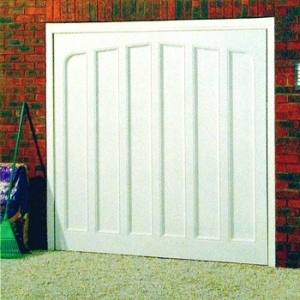 The door is seamless, unlike steel up & over doors, which have neat but nevertheless visible joints. 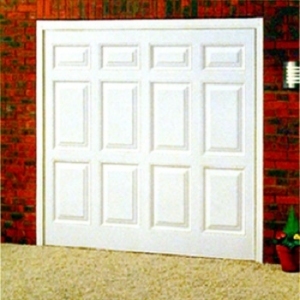 The panel pressings are deep and bold, giving a high quality appearance. Made-to-measure sizes available on request. 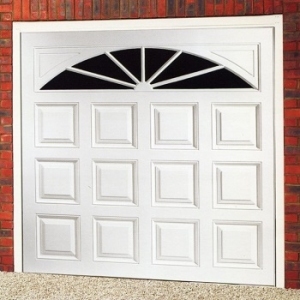 The maintenance-free aspect of this garage door is one of it's main advantages.